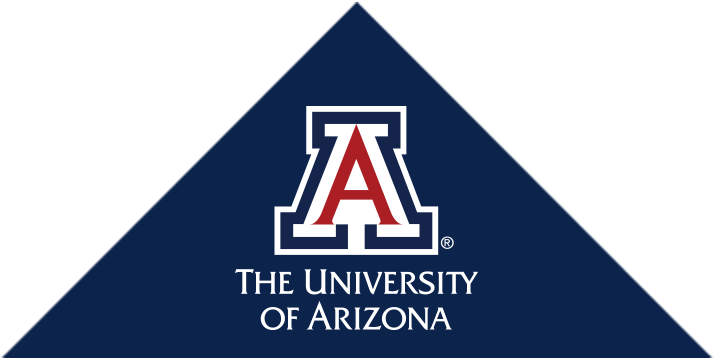 Quality education is a high priority for both, the University of Arizona’s College of Medicine – Tucson and the Department of Medicine. We seek to support and enhance the academic and professional journeys of our students, trainees and faculty in every way possible. The Department of Medicine Educational Office assists in oversight of two distinct ACGME-accredited Residency Programs in Internal Medicine, the Dermatology Residency Program, 15 ACGME-accredited fellowships, and training for more than 130 residents and 70 fellows. We offer a wide variety of comprehensive training opportunities supervised by boarded, dedicated and nationally renowned faculty. A medicine clerkship is required. Sub-Internships and other medicine-specific electives can be found in the course catalog with the prefix "MEDI." 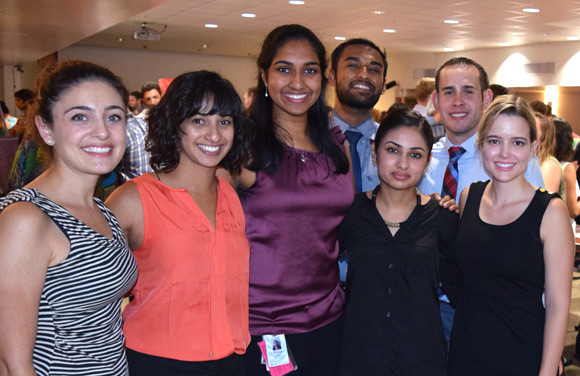 We host three programs for resident physicians to pursue specialty training in Internal Medicine and Dermatology. 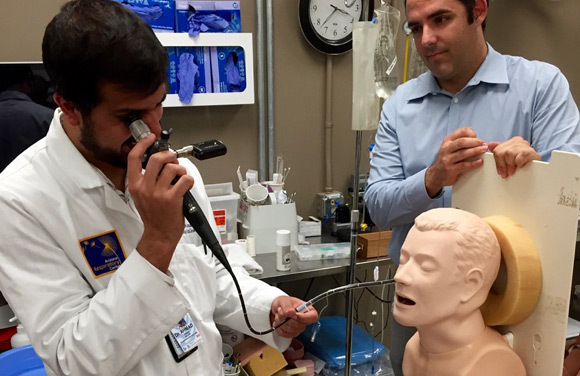 The UA Department of Medicine offers 15 ACGME-accredited fellowship programs. Our Division of Integrative Medicine also offers an internationally recognized fellowship which is non-UA affiliated and non-ACGME accredited. 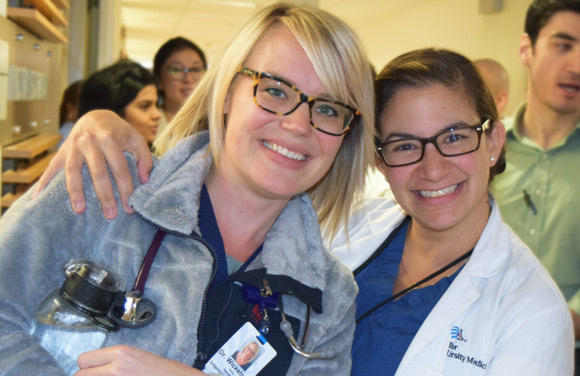 Medical school clinical training spans two years and includes the internal medicine clerkship, medicine/subspecialty electives and the internal medicine sub-internship. To assist new residents, fellows and faculty and staff in identifying those faculty members and physicians who are at the heart of our clinical teaching mission, we offer this Department of Medicine Core and Key Clinical Faculty Guide for the 2016-17 academic year. In a simple one-page organization chart, it offers photos of faculty physicians across our various divisions and chief residents arranged by their Internal Medicine Residency Program at the Tucson Campus or South Campus.